For decades, the story of Theodore Roosevelt’s crushing loss has rested at the back of my mind, if for nothing more than that it seems the ultimate enigma in the biography of our most enigmatic president. Yet this facet of his life surfaced for me recently not because of biography, but geography. Roosevelt had a profound attachment to two humans: his mother, Mittie, and his first wife, the aristocratic Alice Lee. Both died in a single day when Roosevelt was but twenty-five years old. Ultimately, he took this grief to North Dakota’s Badlands, and somehow — we don’t know how — he coped. This is the enigma: though Roosevelt wrote in great detail about the day-to-day minutiae of this period (and all other periods) of his life, he said nothing at all about how he dealt with arguably his most important and formative loss. Surely the power of the landscape and the wild had something to do with his recovery, but we have no way to confirm this surmise. So I filed the episode away as irrelevant to my purpose in visiting North Dakota for my feature on the state’s fracking boom in the March issue of Harper’s Magazine. The story would focus on more tangible matters: pipes, flares, drilling rigs, man camps, trucks, money. Yet it seemed to me during my conversations with North Dakotans about the oil industry that grief always lay in the room, a substratum of every conversation, evident mostly as resignation, especially among the handful of prairie-bred conservationists who struggle with the industry directly. I met with Jan Swenson in the compact living room of a simple wood frame house on Bismarck’s orderly grid of streets. Swenson has been the director and, for all practical purposes, the staff of the Badlands Conservation Alliance for all of its dozen or so years. Though technically an activist, she isn’t true to type. Rather, she is distinctly North Dakotan, Nordic, graying, slight, and late middle-aged, with the habit of pausing at length before she answers, then responding carefully, in involved and fully formed sentences. Her attachment to the Badlands developed when she was a child in Bismarck, a small city set amid what was once prairie, then became wheat fields, and is now oil patch (to use the local term). The Badlands of her childhood offered a counterpoint to the squared and plowed landscape around the city. An hour away by car, it was rugged and rough, uninhabitable and indomitable as the name implied — a place where a child could encounter rattlesnakes and night skies dark enough to reveal all the stars. Time passed, and she eventually married, moving to the Twin Cities for a time. She returned to the Badlands in the late 1980s to find that the nights there were no longer dark. Oil development had begun, and already natural gas set alight to flare from oil wells was competing with the stars. Her nascent activism began to flare, too. A bit later, though, her father died. An inheritance in North Dakota usually consists of land, but her patrilineal homestead in the Red River Valley had long since passed to uncles and cousins. She took the cash her father left her and followed an instinct bred in the bones of farm people, converting her legacy to land. She bought a half-section, 320 acres, near Grassy Butte, just before oil rigs began to surround the area in the late 1990s. 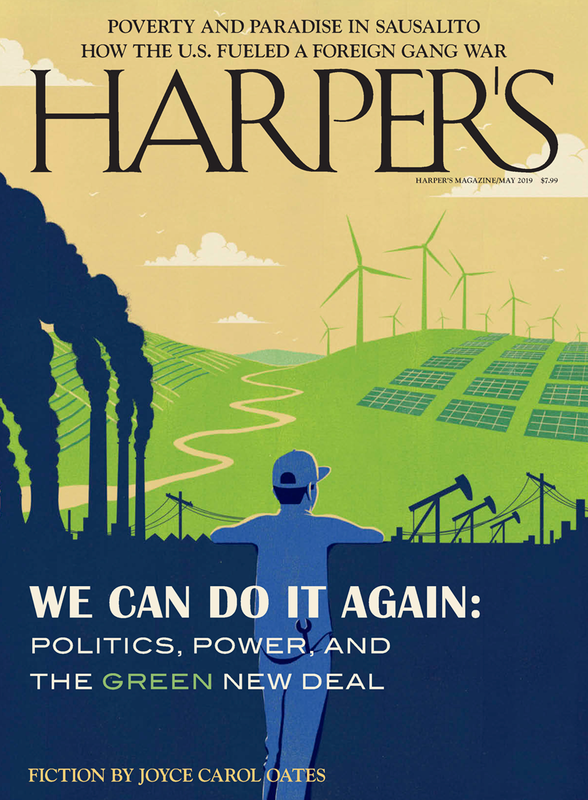 Richard Manning wrote “Bakken Business” for the March 2013 issue of Harper’s Magazine.